We are a small business based in Essex with 15 years of experience in sealing industry, Lionel started at Europe's leading sealing company Resiblock, Sealing Technique was then established to provide efficient expert sealing solutions to individuals. 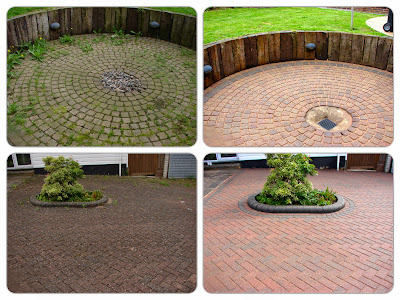 We specialise in pressure washing, re-sanding, and sealing of domestic properties, offering a host of services to cater for the unique needs of clients. We at Sealing Technique are registered installers with Resiblock and have the know-how to seal all driveways. and patios. We are able to give advice and meet the needs that you require. Sealing Technique offers the benefit of years of experience gained from previous positions in the cleaning, maintenance and sealing industry. More and more people are deciding to seal block paving, patios and brick work because of the benefits that come with sealing external surfaces. Sealing helps preserve the surface once it has been coated. Also sealing makes it easier to maintain and can prevent the growth of moss and lichen for some time, but most of all stop weeds permanently. We'll always go the extra mile for you to make sure your experience with us is as enjoyable as possible. Providing good service means taking the time to listen. We will work with you every step of the way to make sure you receive the services you require. Moss, algae and lichen growth. Solidify joints, inhibiting weed growth. Protect against loss of colour. Waterproofs your paving, restricting surface growth of algae and lichens. Provide an oil resistant layer. Enhance the natural paving colour. 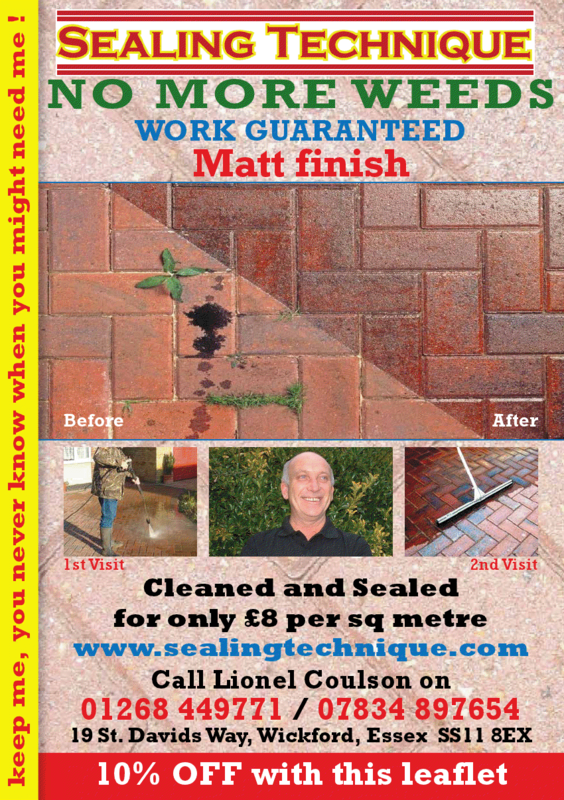 Increase the lifespan of your paving. No loss of jointing sand. Once applied your paving will be easier to maintain.